Hey what is up hello! It is that time of year, Happy December! It is the holiday season, and you can trust me when I say I will be watching every single cheesy holiday movie on netflix (Actually I keep going to watch them, and I end up just watching hours of scandal). Anyways the holidays means gifts on gifts on gifts. This gift guide is for your best friends, your ride or dies. Here are some of the gifts for your gal pals. Colour Pop// I think this is the best gift number 1, it is a good easy price to pick up for a handful of friends. Number 2 everyone loves a good eye shadow palette. Holiday Box// This is good for the gals where you are not exactly sure what their make up routine is, there are a handful of good pieces where there will be something they will love. Note Book// For your friend who loves to write, and look on the bright side. 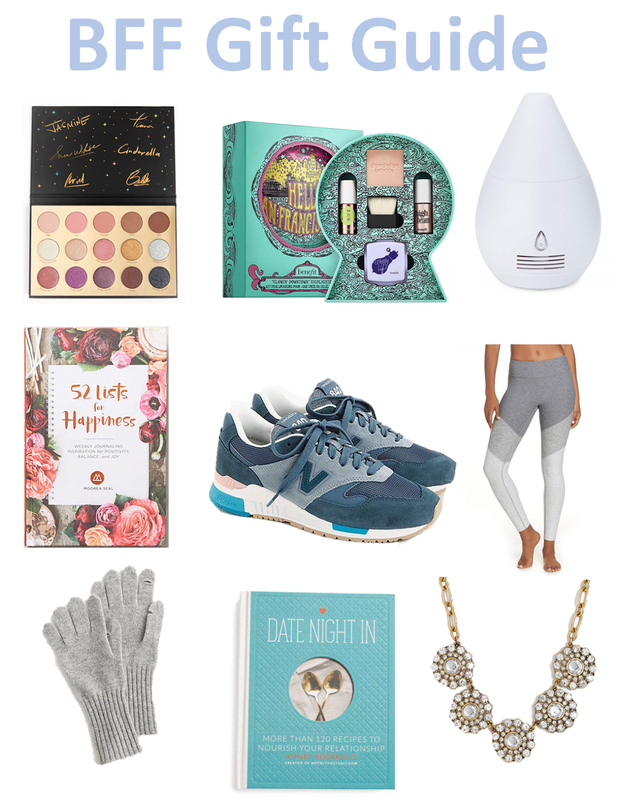 Sneakers & Leggings// This is for your fitness friend! Accessories// This is the easy gift to keep in your closet for the friends you many have forgotten. Date Night In// I do not know about you but all my friends are like full blown adults at this time and people are married or getting married, this the gift for those people.